1. Universalist/Unitarian Service Committee Meeting on Climate Change Resettlement for Indigenous Communities. Those in attendance were small indigenous communities from Alaska, Washington, Bangladesh, the South Pacific and Louisiana. Representing Louisiana were three Native American tribes from the First Peoples’ Conservation Council (FPCC) of Louisiana, an Association that was formed to provide a forum for four State Recognized Native American Tribes and two unrecognized ones. The purpose is to identify tribal challenges emphasizing and solving natural resource issues on their Tribal lands. The tribes who had tribal leaders in attendance at the Alaskan meeting were the Pointe au Chien Indian Tribe in Terrebonne/Lafourche, the Grand Bayou–Atakapas-Ishak/Chawasha Tribe in Plaquemines Parish and the Isle de Jean Charles Tribe of Biloxi-Chitimacha-Choctaw Indians of Terrebonne. The message from each group was so similar: Sea level rise and storms are putting the very existence of the communities at risk and the response by respective regional and national governments has been extremely challenged in terms of funding and successful management of the resettlement process. For example, when approval to move is determined, upkeep of the original community until the move is completed is halted leaving the residents without basic services such as transportation, water and sanitation if/until the resettlement is completed. 2. The Doctrine of Discovery meeting with Alaskan indigenous and Presbytery staff was held to reveal and discuss the legacy of the way in which Europeans took the lands and diminished the population and culture of the indigenous communities during colonization. This disrespect of indigenous rights continues full-force to the present. The legacy of this structural violence reverberates from one generation to the next in terms of psychological, social and economic impacts. It is a moral and ethical mandate that the damage from the past is understood in how it is currently impacting communities, both that of the indigenous and that of the settlers. This meeting is expected to be the inaugural event for future conversations and the faith communities’ action. The Alaskan Presbytery (PCUSA) is one of the first to initiate these discussions of reconciliation and reparations. It is anticipated that long-term joint projects will be centered on erosion and telling the indigenous communities’ stories that are currently not being heard. 3. 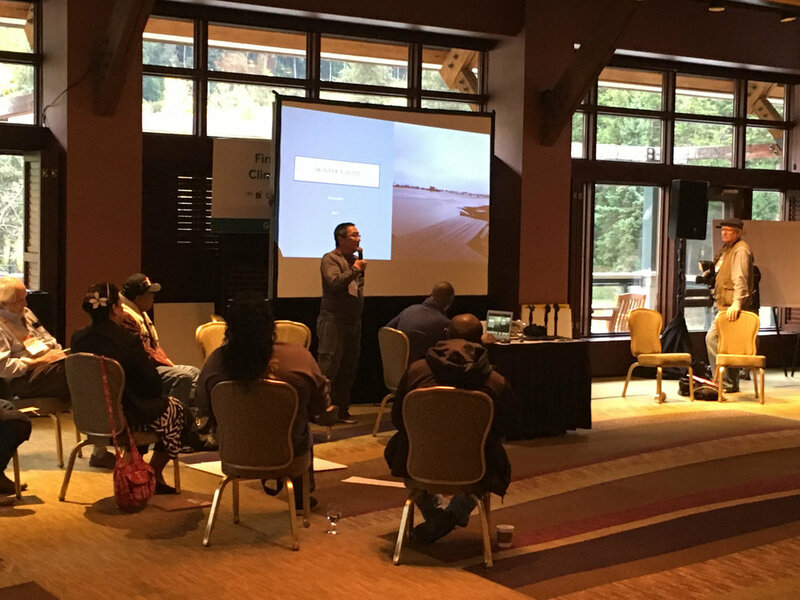 Invited attendance of the Louisiana tribal leaders and Lowlander staff to the October meeting of the Alaskan Fisheries Council about the Bering Sea Fishery Ecosystem Plan (FEP) and the potential role of Traditional Ecological Knowledge (TEK) and Local Knowledge (LK) in the fishery’s management. The fisheries’ challenges within the Bering Sea are great; the fisheries are critical to world food supply. Therefore, there is pressing importance to blend science with TEK/LK.